Dream Construction Company performs professional garage conversions in Las Vegas. We convert garages into any room you can imagine such as a den, workout room, gym, family room, bedroom, office, shop, or small apartment. We will determine what style of wall, floor, and access you have available in your garage in order for it to get converted into a room. 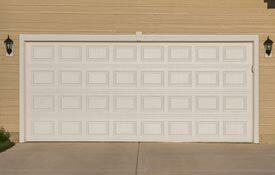 There are several decisions that you need to make about the garage before beginning to convert the garage to a room. First of all, you will need to decide whether you need to have windows installed if there are no windows in your garage presently. You will need to decide about the insulation plan, how it should be heated and cooled, lighting, and electrical outlets that need installation. Depending on what type of room you would like, you may also need plumbing installed. The price of your garage conversion will vary, depending on what you hope to accomplish with the room. You may want to convert the entire garage, or you may want only to convert a portion of the garage space. Some examples of rooms that you can convert your garage into are an exercise room, great room, bedroom, bathroom, shop, or even mother in law quarters. Garage attics can also be converted into rooms depending on the size of the attic and space available. You may also want to turn your garage into a small apartment so you can rent it out or have an extra room for guests or other family members. No matter what reason you have for wanting to convert your garage into a room, we can turn the dream into a reality. Call Dream Construction Co. today to get more information about how we can convert your garage into a comfortable living space in your home. Our experts will be happy to help you find the best and most affordable solution for your garage space. 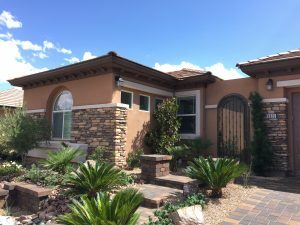 We have worked on many garage conversions in Las Vegas, and we know exactly what you will need to get the job done right.